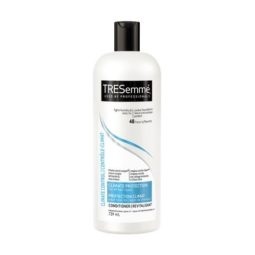 The TRESemmé Climate Protection Shampoo, with our unique Climate Control Complex, gently cleanses and moisturizes hair while controlling frizz. This advanced hair care system leaves hair shiny, soft and manageable. This hair protection system helps you face weather head on.